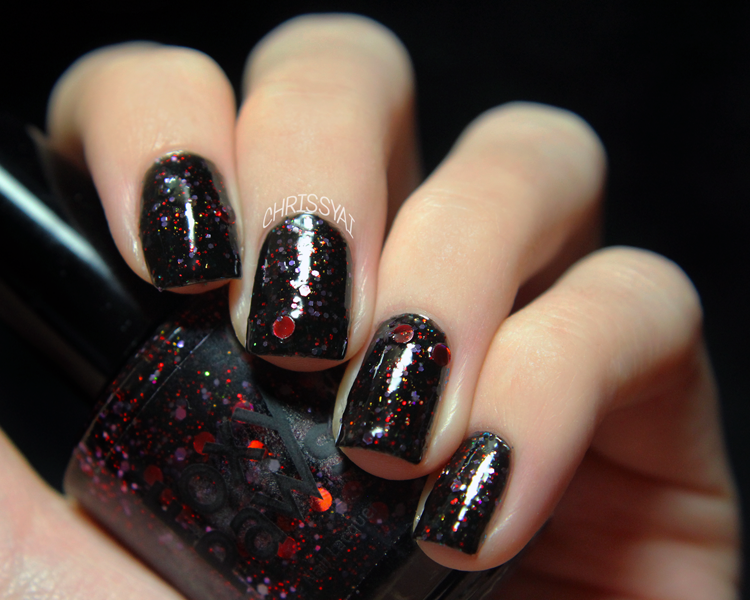 Today I have a nail post for you guys (YAY, it's been forever, right?!) with swatches of six Foxy Paws polishes. To give the review part to these polishes, I was so pleasantly surprised to how well these applied! The formulas are thin and pigmented which made application incredibly easy. The only slightly difficult one was the glow in the dark, Just A Meaningless Kiss, which wasn't anything extreme it was just a little thicker but also only took one coat! The holographic polishes I swatched had such a nice amount of holo, it was really shocking and I probably stopped to look at them a for at least a minute. The thermal polish in this selection, Love Changes Everything, is actually my first thermal and it was so fun to see how it changes! My only disappointment here is how my camera reacted to the darker colors on my skintone, I seriously need to work that out! These are such pretty colors! I'm really loving Love Changes Everything and Just A Meaningless Kiss. I love the first four! Thermals are sooooo fun, and I'm a sucker for pink and black. Black glitter in pink, though? Awesome! I LOVE thermals and holo thermals??? Ahhhh! Gorgeous! Right?! I was dipping my fingers in and out of water for a good five minutes.. I was probably having more fun than I should've been having haha! This was my first thermal and I can definitely agree that they're fun! I agree, I thought it was a really interesting twist on some "typical" ideas! I agree, those are definitely some of my faves too! i'm following you on gfc..
what a beautiful colors going on there! i love love the second one!